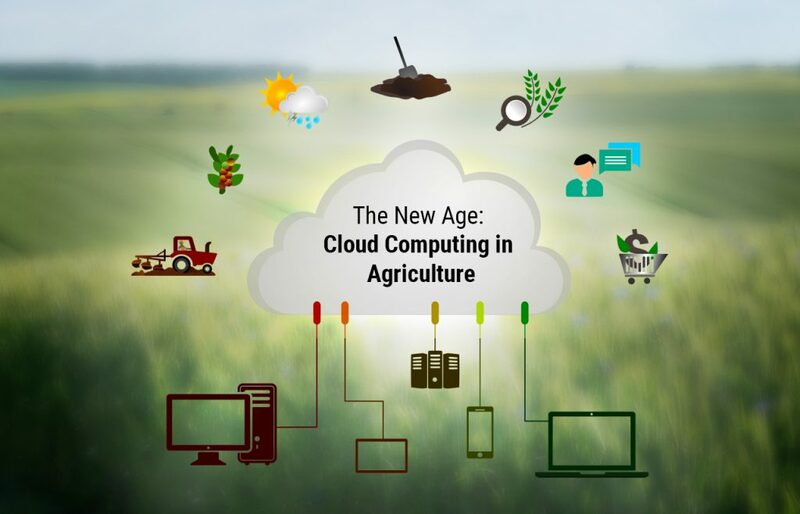 It looks as if the time has come for agriculture, one of the earliest of occupations on the planet, to go hand in hand with one of the latest technologies – cloud computing. One might wonder what there might be in common, but the truth is that applications of cloud computing be applied to the agriculture sector in multiple ways to help it grow. Cloud computing is an information technology paradigm through which users can access shared pools of configurable system resources over the internet. Such a sharing of resources enables coherence and economies of scale, which functions like a public utility, which can be quickly allotted by service providers to users with very little managerial effort. When an organization outsources their computer infrastructure and handling to the cloud, it allows the company to focus on their core business, instead of having to invest in computer infrastructure. And because cloud computing enterprises have expertise in their sector, they can work faster and are better managed. They are also far more adaptable to meet fluctuating and unpredictable demand. Cloud computing service providers typically work on a pay-as-you-go model. Apart from that, the user can also opt for options like Software as a service (SAAS), Platform as a service (PAAS) or Infrastructure as a service (IAAS). IAAS is one of the most commonly used services, as it helps organizations do away with infrastructure costs. The very first company to release a cloud computing product was Amazon.com, in 2006, called Elastic Compute Cloud. Although it took a while for potential clients to make the shift, it began to pick up once tested, thus leading to widespread growth in this sector. The word “cloud” became the metaphor for the Internet, and the standardized cloud-like shape was used to denote a network of telephony schematics. Thus, cloud computing is one more application within the basket of Information Communication Technologies (ICT). 72% of users have experienced improved end-user assistance. 63% of users consider that it has brought down the IT performance challenges. 73% of users believe that it has reduced the cost of infrastructure. Coming to the point of agriculture, how can cloud computing effectively contribute as an ICT tool which can play a vital role in agriculture? In sum, cloud computing can help with real-time computation, data access, and storage to users without having to know or worry about the physical location and configuration of the system that delivers the services. It can capture information related to all crops grown in the recent past, and thus can help farmers make decisions on what to grow next. Weather information: The cloud can store region-specific weather information and as well as the weather forecast for specific durations. Again, these help farmers make crop-related decisions. Crop-related decision-making depends largely on soil information too. Apart from soil profile, it can also provide a trend of soil in the past, which will help in predicting the trend in future. For example, is the soil turning acidic/alkaline, or, what other changes in nature and composition of soil can be seen? The growth of various crops can be monitored in different regions; and at regular intervals. This enables growth patterns to be compared with past growth patterns. Region-wise farmer data can be captured, monitor and study the involvement of local farmers. This can help in the identification of core agricultural areas, which are helpful for policymakers while framing their strategies. 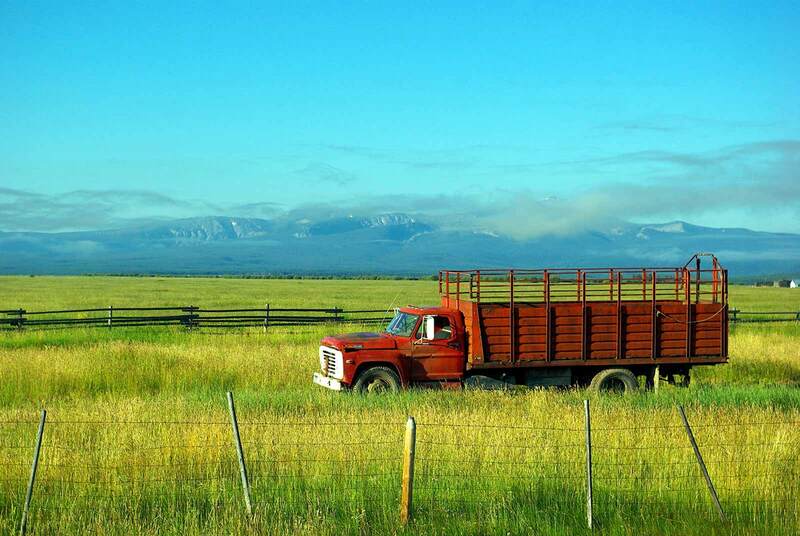 Here, solutions are available for commonplace problems that farmers frequently face. Alongside, experts provide solutions to specific problems too, with a rather short response time. People from rural areas are unable to sell their own produce directly to the market. Many middlemen pop up in between the retail and production ends, which ultimately leads exploitation of the farmers. Through the agricultural management information system of cloud computing, farmers can sell their produce directly to the end users/retailers. A web-based Agriculture management information system can be useful in the agriculture sector, as it brings latest bulletins on weather, prices, fertilizer, sowing of crops etc., to farmers in rural areas. Scientists working at agriculture research stations can share their own discoveries and suggestions regarding modern techniques for cultivation, usage of fertilizers in the cloud. Despite a long list of useful applications, cloud computing uptake can hit bottlenecks due to certain reasons. For one, because this industry is practically free of political borders, the differential cyber laws in various countries could pose a problem. As a solution to tackle this, the service provider Business Software Alliance (BSA) has come up with a 7-point policy blueprint. Another challenge lies with regard to the security of data and services. The way around this is to opt for the most reputed service provider for the service required. A major pre-requisite for the effective functioning of cloud computing is a high-speed internet connection. If the cloud servers happen to be backed up at that moment, or if the Internet is running slow, we might not get the instant access as we expect from desktop applications. Even though the uptake of cloud computing took a while to spread, the leader, as one can expect, is the technology giant Japan, followed by China and the USA. Interestingly, parts of East Africa too have managed to tap into to it, though the practice is still in a nascent stage. Looking at Asia, Japan of course comes first, Korea stands at the 8th position, Singapore at 10th, Malaysia at 13th, and India takes the 19th position. Surprisingly, Bhutan, which is a relatively new country in ICT, realized the importance of ICT quickly and is adopting it in all sectors, including agriculture.